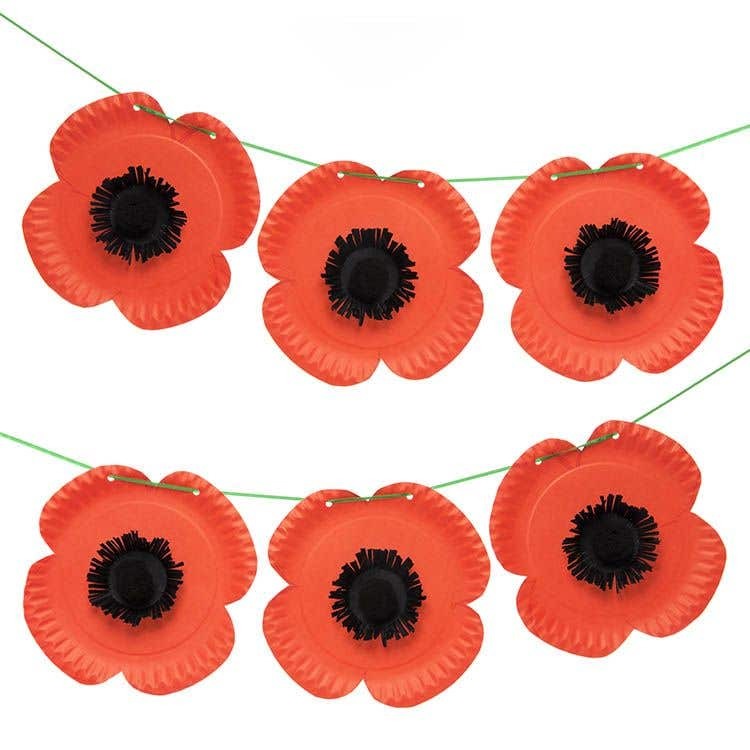 This easy-to-make paper plate bunting of big poppies makes a great decoration for home or classroom for Remembrance Day. Take a red paper plate and draw on the back a big flower shape with 4 petals using a biro pen or pencil. 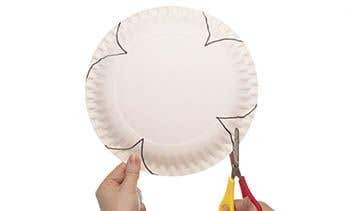 Draw the flower shape right to edges of the plate to make a big poppy. Cut out using scissors. Create further plate poppies by using this as a template, placing it over the back of the plates and drawing around it with a pencil or pen. This will ensure all the poppies look the same. Take a cupcake case and paint the inside of the case black. Leave to dry. Paint as many as there are cut out poppy plates. When they are all dry, paint the rest of the cupcake case so that the whole case is painted black apart from the underside as this won’t be seen. Leave to dry. 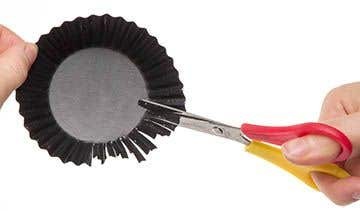 Once the cupcake case is dry, snip all the grooved edges of the cupcake case using scissors. Stick the cupcake case to the middle of the poppy using super tacky glue. Leave to dry. 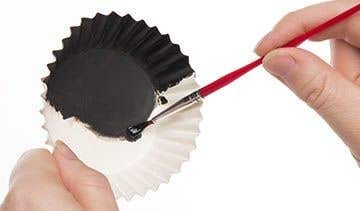 Place a blob of super tacky glue to the middle of the cupcake case and stick down a large black pom pom. Leave to dry. Hole punch two holes at the top of the poppy, one hole in each of the two petals at the top. Repeat steps 1-7 to create as many poppies for your bunting. Cut a long piece of green ribbon (however long you wish your bunting to be) and thread it through the hole punched holes in the poppies. To secure the ends tie a knot through the end hole punched holes and secure with a double knot. Instead of using red coloured paper plates you could use white paper plates painted with red acrylic paint.